Yes, Neil Patrick Harris' autobiography is a choose-your-own-adventure style book, complete with second person narrative, where "you" are living Neil's life, from birth through to his rise to personal and professional success. From Doogie Howser, M.D. to the Harold & Kumar films, How I Met Your Mother and Gone Girl, to hosting award shows, including the Emmys and the Tony Awards (and coming soon, the Academy Awards! ), to his work on stage, Neil Patrick Harris continues to give us reasons to appreciate his talent. The approach he's taken with his autobiography is not only a fun way to walk us through his life story, but it taps into that 70s/80s (90s-ish) nostalgia by structuring itself in the style of Choose Your Own Adventure. If you take a look at the sample on Amazon, you'll see that it isn't just the cover that offers a nod to the CYOA format. The actual book has jump points, which allow you to read on to the next chapter or jump ahead to another point in the book. I only just purchased my copy, but using the Kindle version on my iPad, I confirmed firsthand that the jump points in the eBook will take you forward and back throughout the book, to the promised chapter in the "choose" option. Of course, going with the eBook means not being able to hold your thumb on the "choose" page to quickly jump back if you decide you want to try a different option. I suppose the bookmark feature could be used there. Or you can just jump and hope for the best. In terms of how the book reads -- and admittedly, I've only read the first few chapters -- the second person narrative isn't as awkward as I might have guessed. The success of the format seems due largely to the witty, candid and charming way Neil Patrick Harris talks about his life, his family and budding interest in performing arts. For example, Harris tells you about your experience seeing Les Miserables on Broadway, and you're right there in the seat with him, discovering the brilliance and wonder that is a professional stage production. Ok, there might be a bit of nostalgic fondness for the Choose Your Own Adventure format and narrative coloring my opinion here. It was surely a risk to take this format for his memoir, but it's a fun way to present his life story, and he makes the most of it. I'll definitely read more. 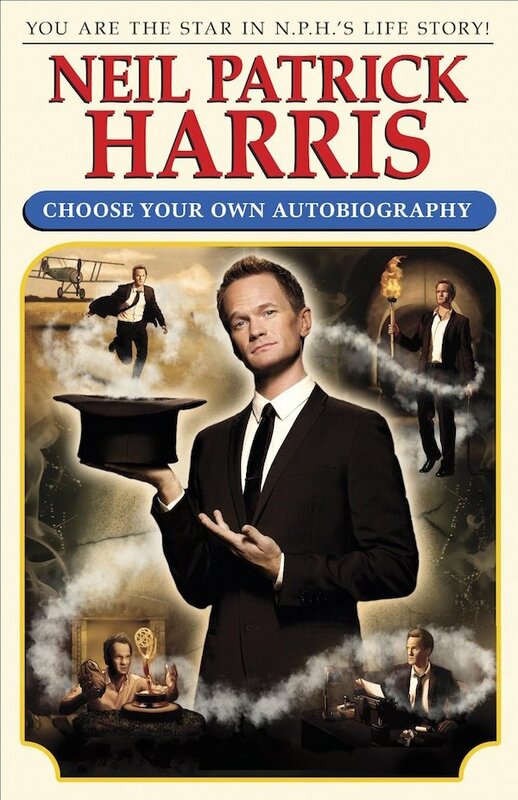 Neil Patrick Harris: Choose Your Own Autobiography is available at Amazon (eBook, hardcover and Kindle version), iTunes (eBook and audio), and Barnes & Noble (hardcover and Nook version). Also other places where books are sold.